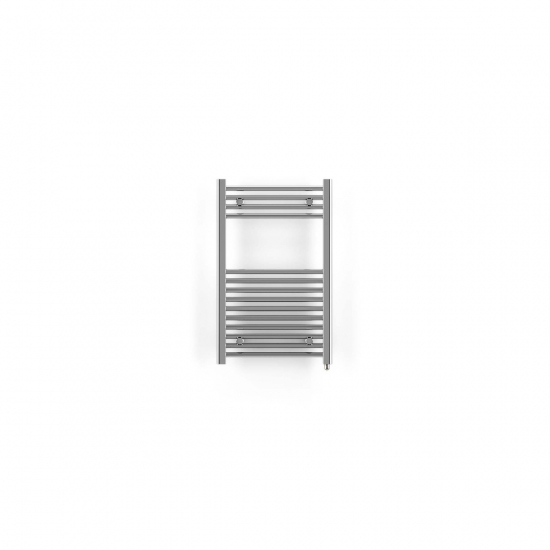 Styled with a classic chrome finish and elegant ladder design, the Terma Leo SIM provides an excellent means of drying and storing towels. This electric bathroom heater has a 200w output for effective towel warming and can heat areas up to 2.5m². The Terma Leo SIM Electric Towel Rail is a simple yet elegant bathroom heating solution with its classic straight bar design and attractive chrome finish. Our 250w Leo is able to heat areas up to 2.5m² for effective towel drying and supplementary heat in smaller bathrooms.